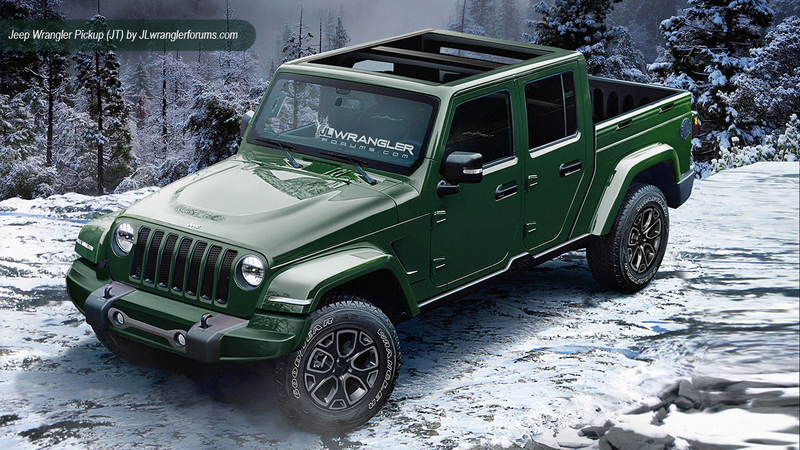 Is This the First Special Edition Jeep Wrangler JL? JLWranglerForums said it’s trying to confirm whether this is a special edition Wrangler or something else entirely, such as an aftermarket model. But it’s worth noting that this vehicle was spotted in Auburn Hills, Michigan, near Fiat Chrysler‘s headquarters. It was being transported in the area alongside other Wranglers, although all the others were eventually unloaded while the special model remained on the hauler, the forum member said in a post. 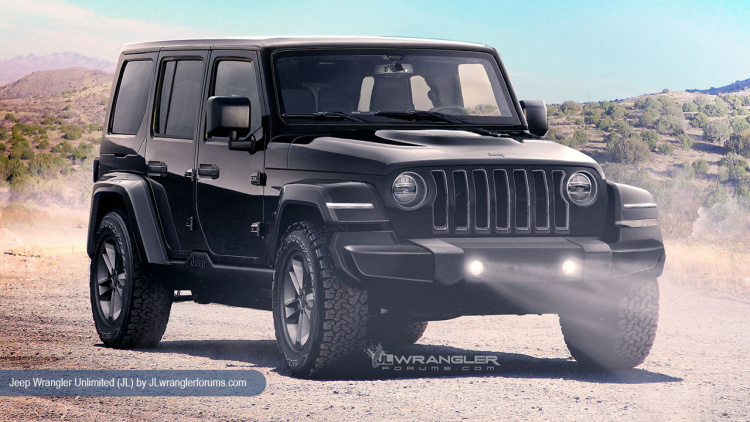 After last week’s surprise reveal of new-Wrangler images during the SEMA show, as well as the introduction of a passel of accessory parts for the next generation of America’s beloved go-anywhere runabout, Jeep seems to have committed itself to a continued trickle of details leading up to the JL Wrangler’s Los Angeles auto show reveal later this month. 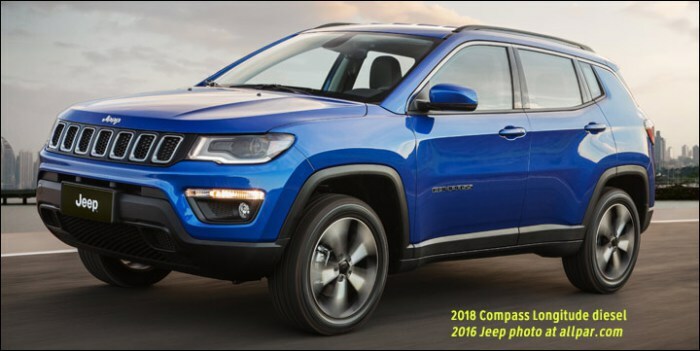 From the two supplied photographs of a red Rubicon’s passenger-carrying innards, the new Jeep’s interior seems to be an aesthetic improvement over the current version’s Playskool-for-grown-ups cabin, featuring a dash panel color matched to the body. The new unit seems more retro—in a good way—and better suited to the Wrangler’s overall vibe of utility and fun. The vents look less fussy than the previous model’s, and the splash of color goes miles toward rectifying the unpleasant austerity of the outgoing trucklet. The color screen mounted between the tach and speedo also brings a dash of visual life to the proceedings. Also of note is the six-speed manual’s shifter, which appears to feature a reverse-lockout collar that’s either anodized red or color matched to the dash and exterior. In short, the rethought dash provides a much-needed revision to a cabin that failed to echo the previous vehicle’s classic and friendly nature.